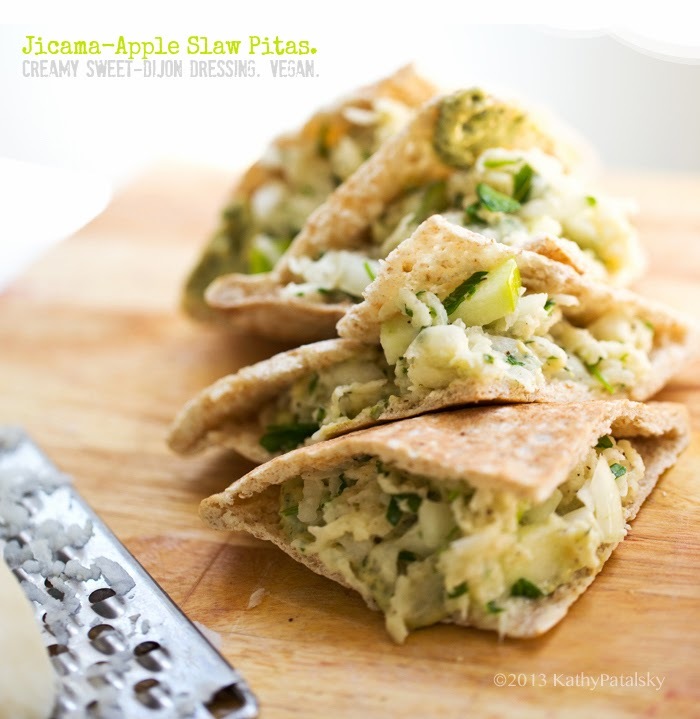 Light & Lovely Recipe: Jicama-Apple Slaw Pitas! Sweet-Dijon Tossed. 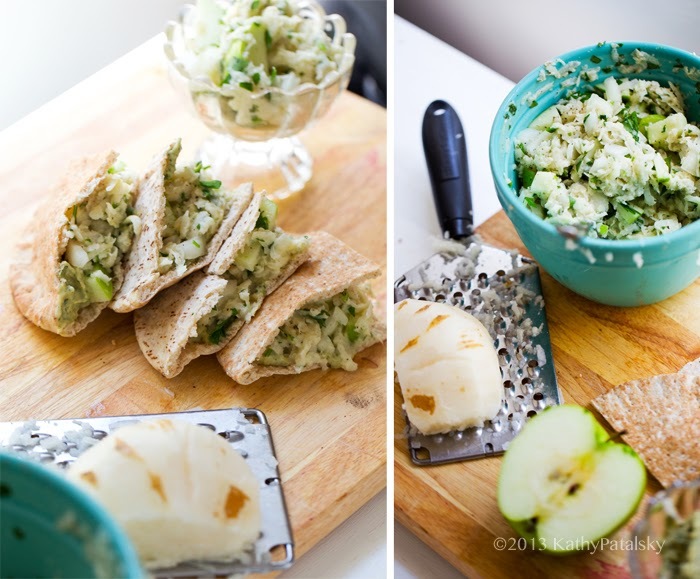 File this recipe under "light 'n lovely & totally refreshing!" 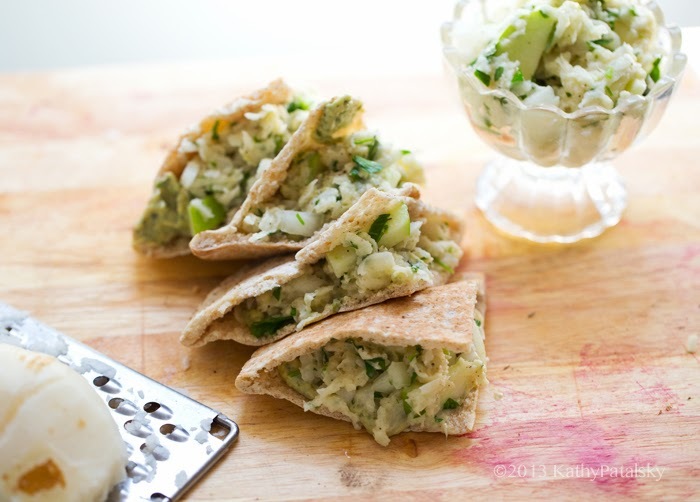 These inviting Jicama-Apple Slaw Pitas are a fantastic recipe to serve as a light lunch or appetizer dish. 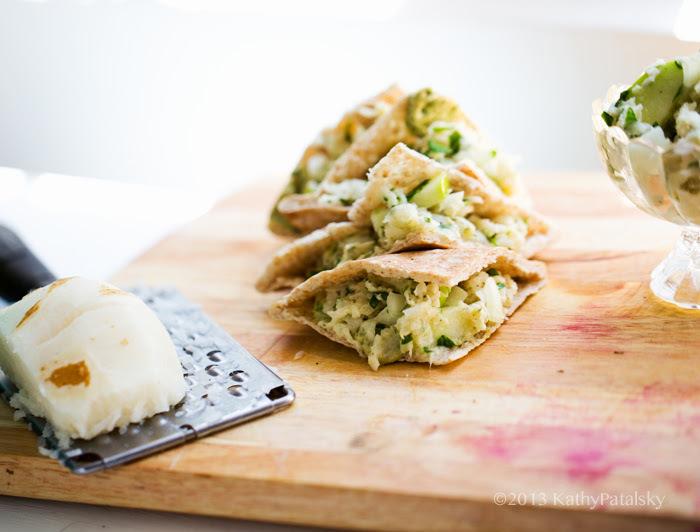 The slaw can also be served on its own as a side salad or light bite snack. 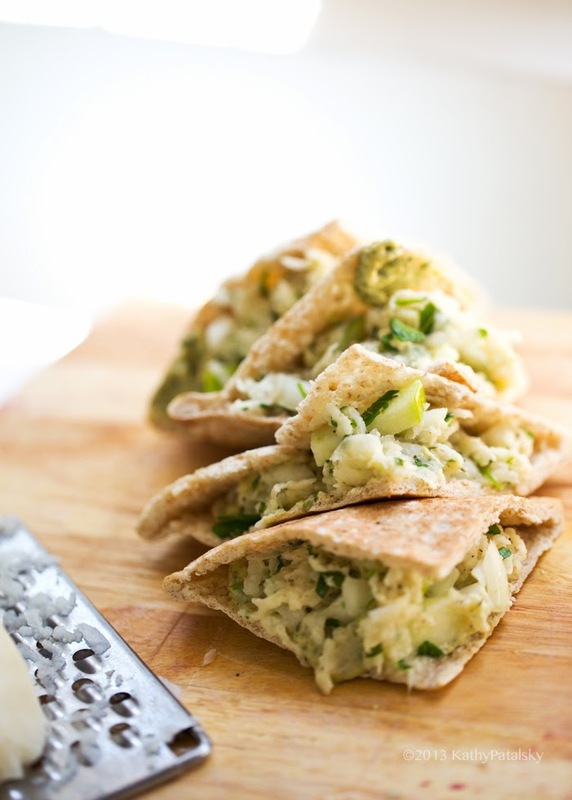 Get creative by adding in chopped walnuts, sunflower seeds or even a few golden raisins. 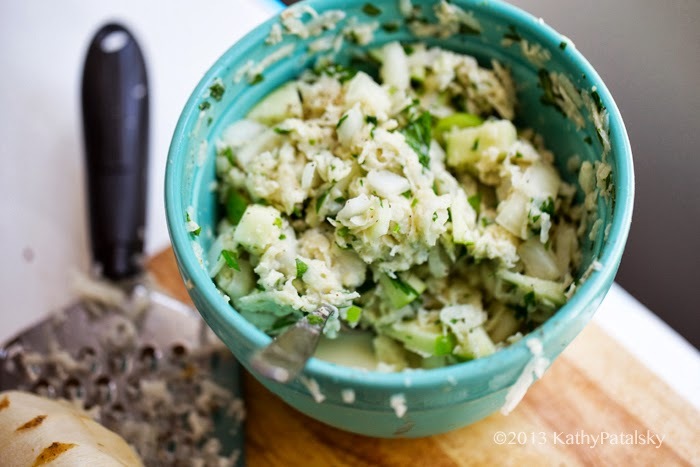 Light and crunchy jicama is grated and tossed with crunchy sweet green apple, onion, finely chopped parsley, black pepper and a lightly creamy sweet-Dijon dressing. 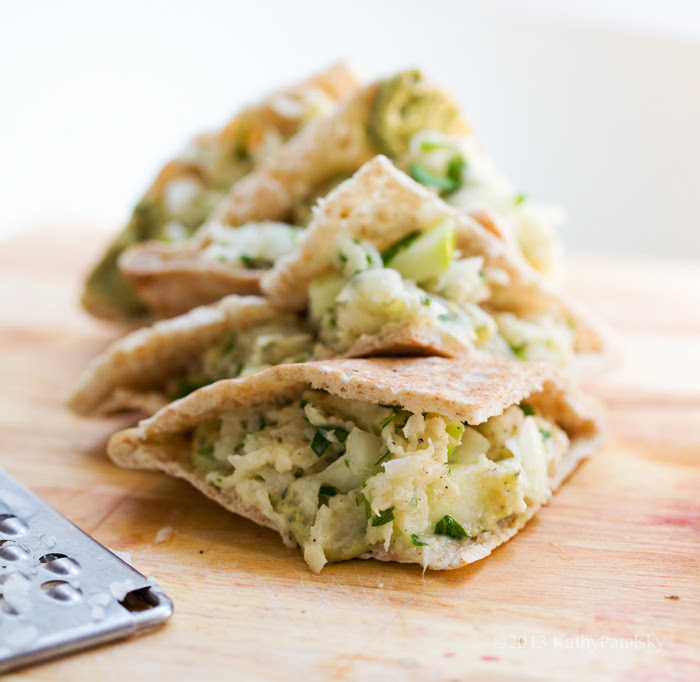 This refreshing slaw salad can be served on its own or as I did, in a toasted pita pocket alongside some hummus. 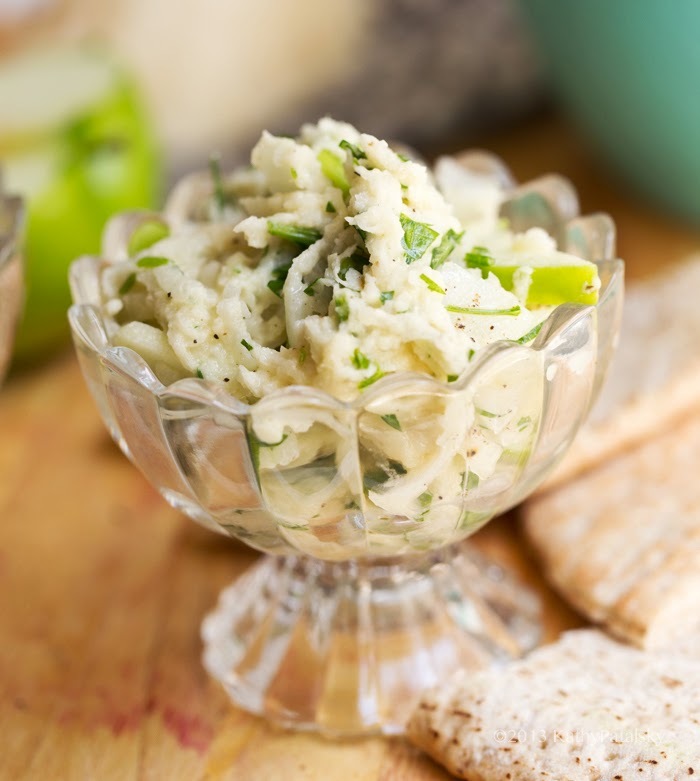 Grab some jicama at the store and whip up this super delicious recipe!.. 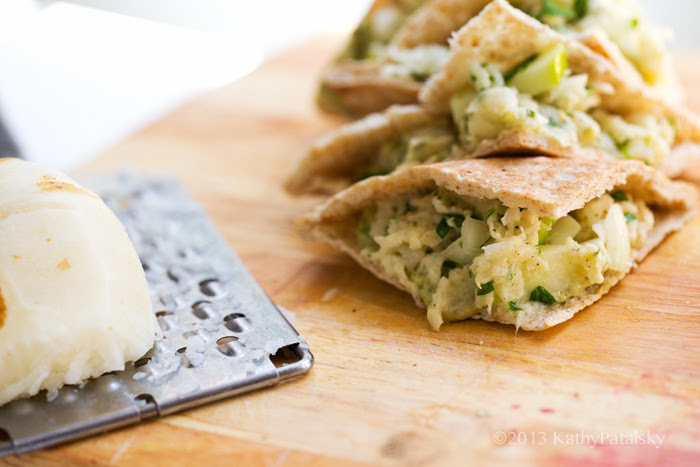 Jicama is such a fun ingredient. It is also called a "Mexican Potato." 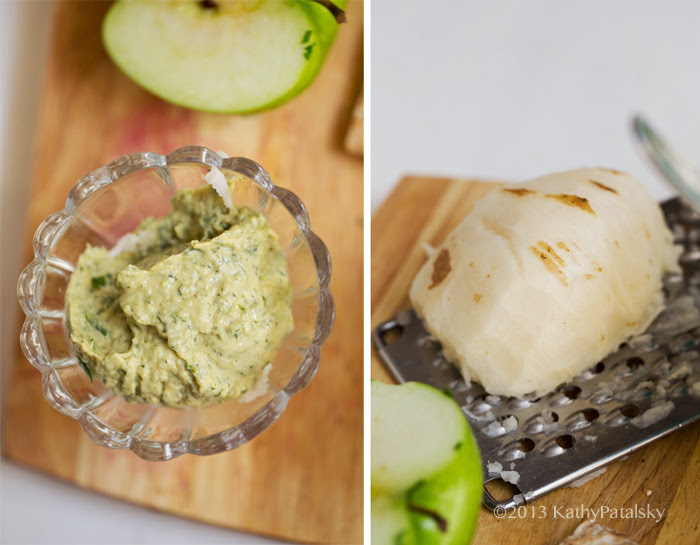 Jicama is super yummy sliced into sticks and can be served alongside carrot, celery and apple slices. Kids love this stuff. 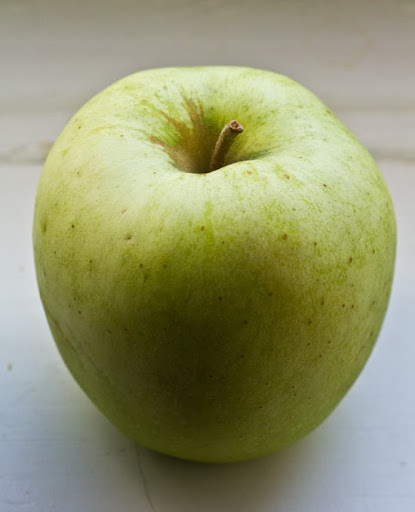 To me, jicama taste like a cross between a pear, apple, carrot and cucumber. It is crunchy yet mildly sweet. Very refreshing. I used a parsley + garlic infused hummus.. This slaw salad can be added to dinner as a side salad, served over top other greens or served on veggie burgers, sandwiches or stuffed inside pitas like I did. 1. Peel your jicama. 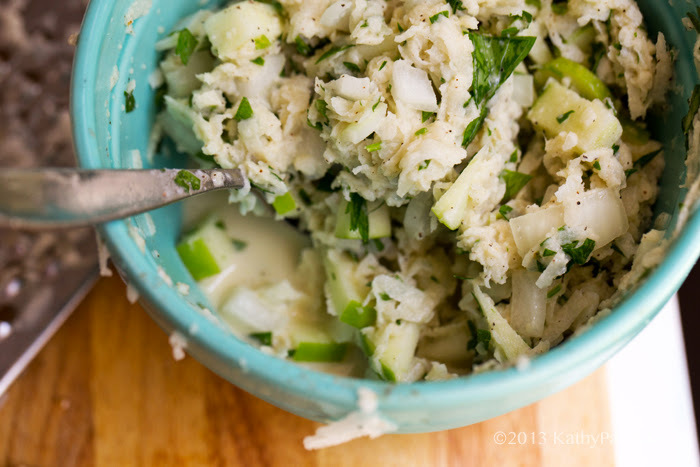 Shred jicama in medium bowl. Prep onion, apple, parsley. 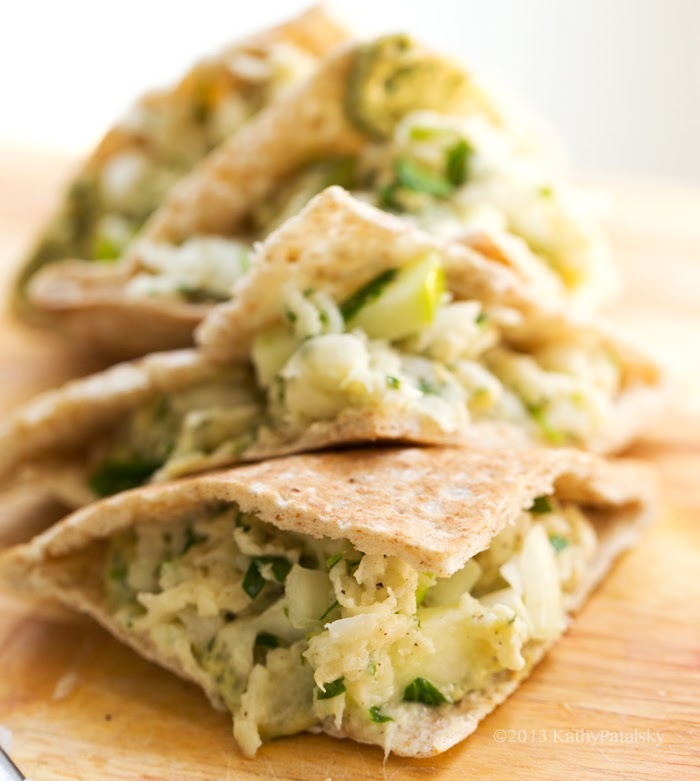 Toss with jicama. 2. Whip together dressing in small cup. Pour over jicama and toss very well. Salt and pepper slaw to taste. Add optional add-ins. 3. You can chill in the fridge or serve right away. If chilling, be sure to toss before serving to redistribute the dressing. 4. Toast pita. 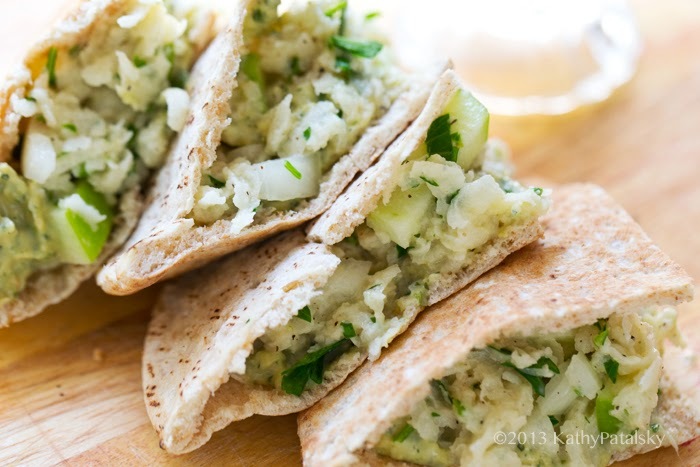 Add hummus to pita, then add the slaw.